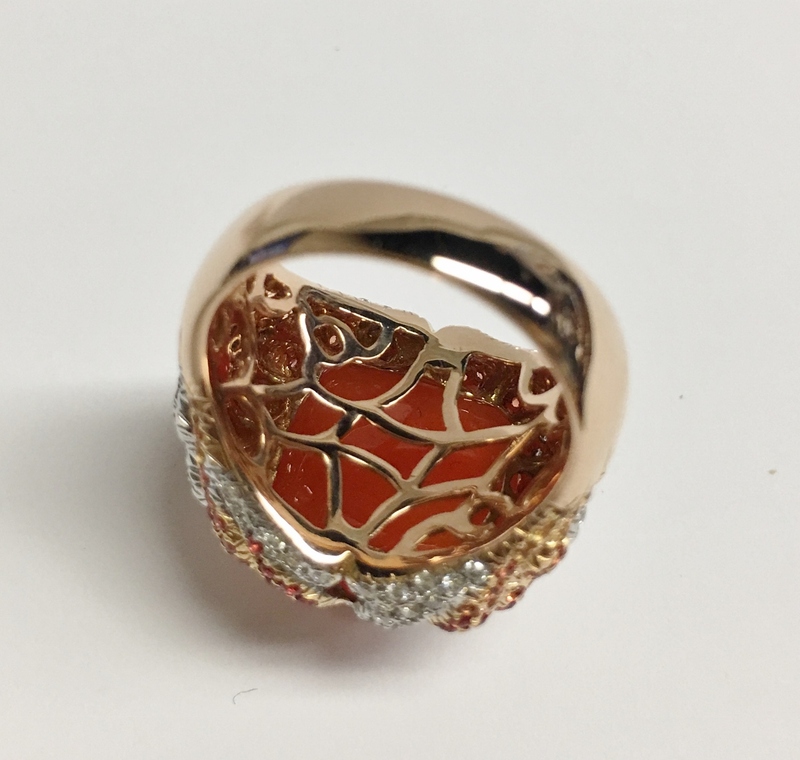 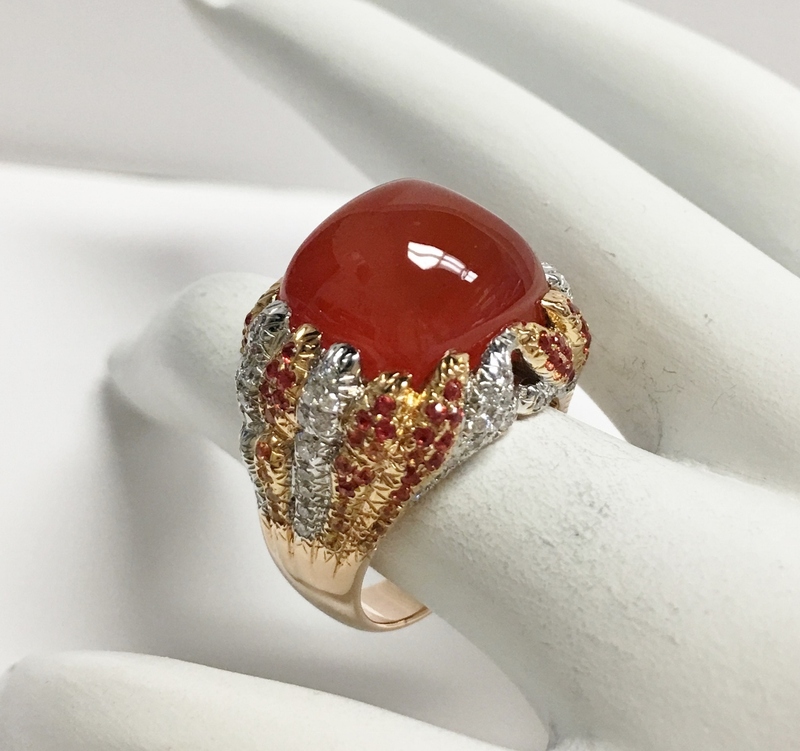 An 18K rose gold ladys ring featured with a square cut cabochon orange chalcedony weighing approximately 14.15 carats. 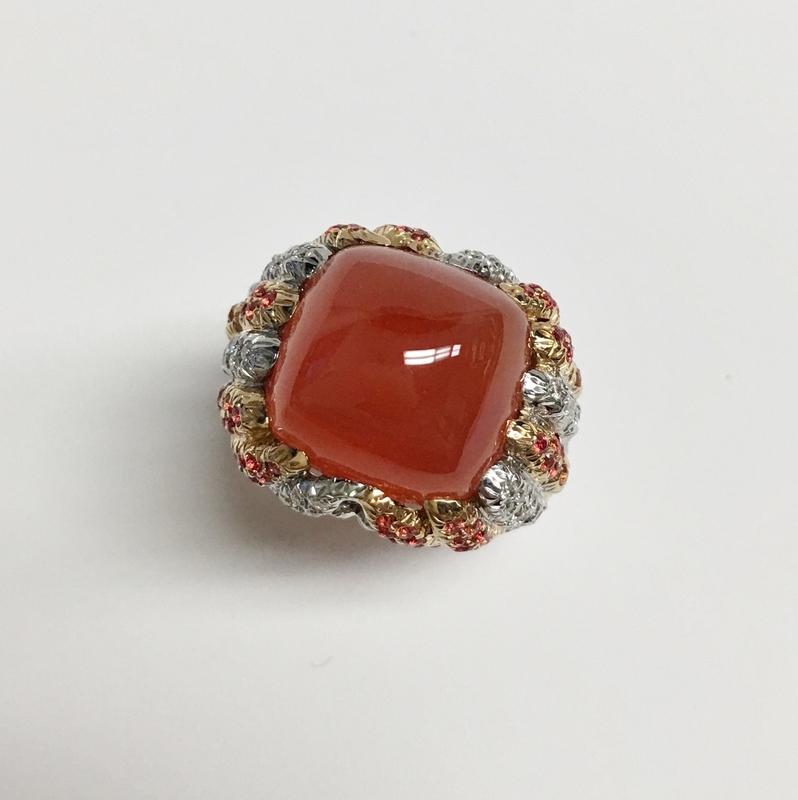 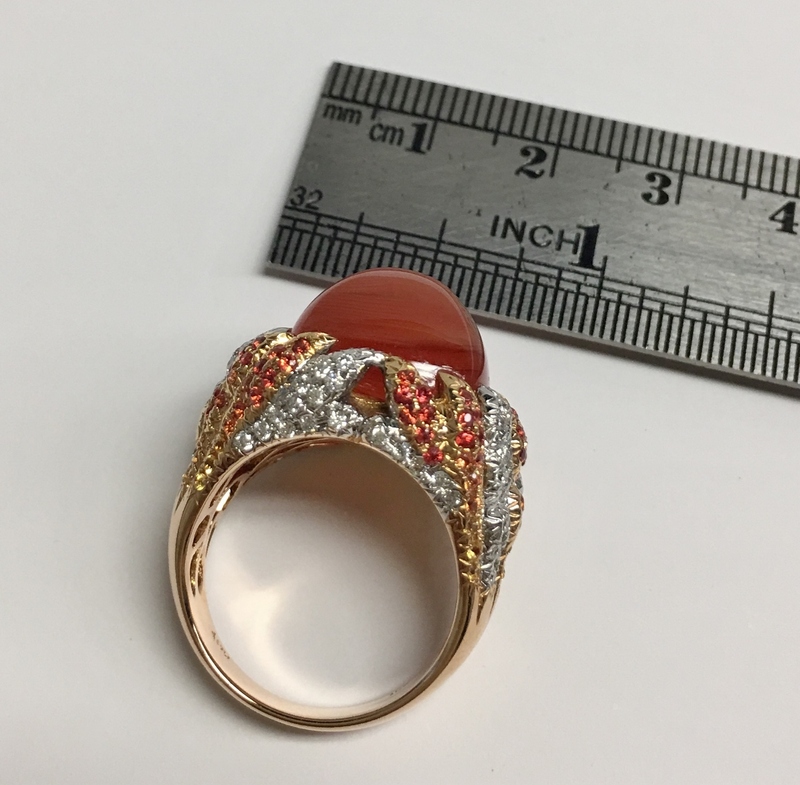 The ring also featured with 104 round cut graduated color from orange to yellow sapphires weighing approximately 1.0 carat and 76 small round cut diamonds that weigh approximately 0.55 carats total weight. 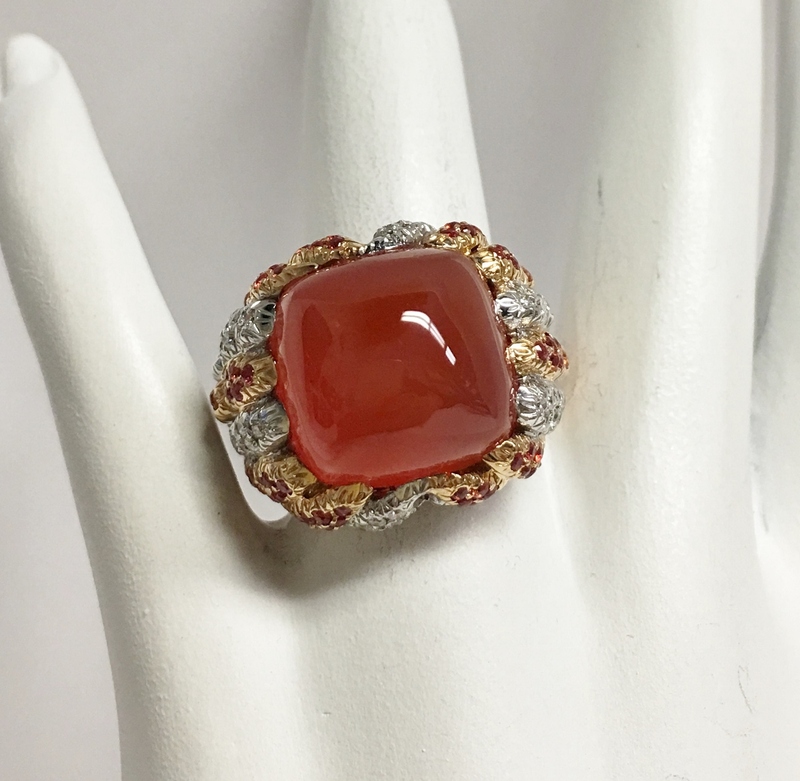 This size 6.5 ring weighs approximately 14.70 grams total weight.